vignette design: Cooking Up A Storm! 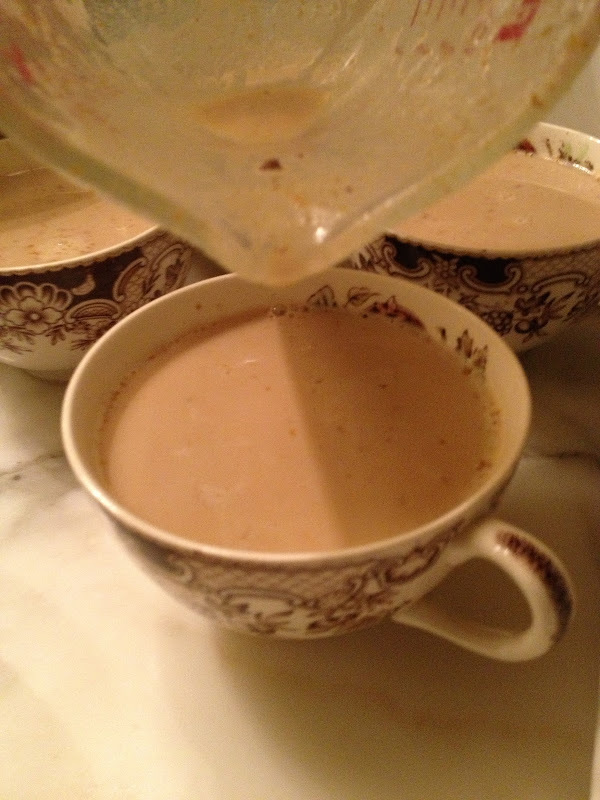 The gourmet club gathered at our house Saturday night and cooked up a storm! Our contribution was the entree and dessert cheese plate. 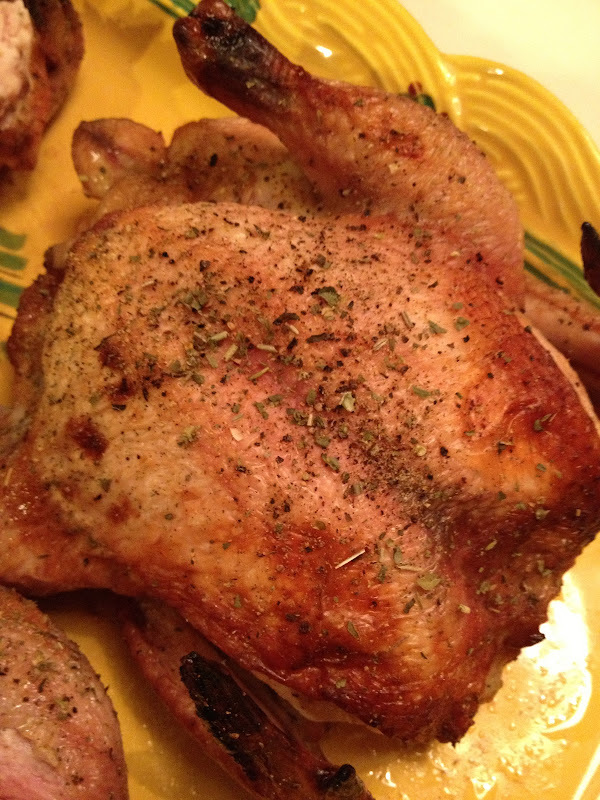 Mr. A brined cornish game hens in honey and soy, then seasoned them with sea salt, pepper and poultry seasoning. ...and the brussel sprouts with chestnuts and bacon were sautéing! ...was followed by the first course. Ummm, what's with kale everywhere? The last course, a cheese, fruit and cheese platter. 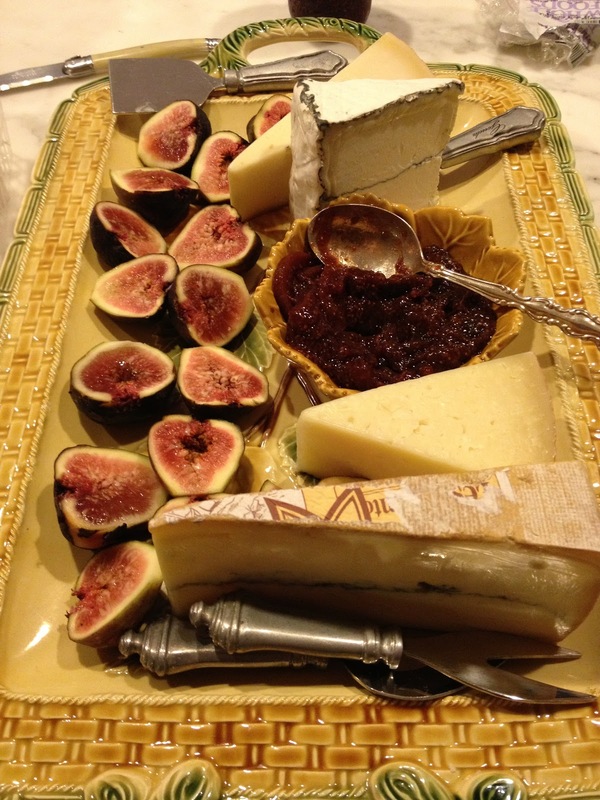 I handpicked the various cheeses to go with figs, my son-in-law's fig compote and candied walnuts. To end it all, there were pumpkin spice latte's all around! Please email me here if you would like recipes for any of the dishes. I think almost all of them would be perfect for Thanksgiving! What a delightful feast! Lucky guests! The menu sounds incredible and a gourmet club sounds like so much fun! Is this couples or just women? I would love to start a group like this here! Love the pictures and I will definitely email you for some of the recipes! It all looks so good. The gourmet club sounds like a wonderful idea. Everything looks wonderful! Those brussel sprouts are sizzling to perfection with all the bacon drippings and those cheese and figs are one of my favorite combinations. What a fun idea idea to host a gourmet club. 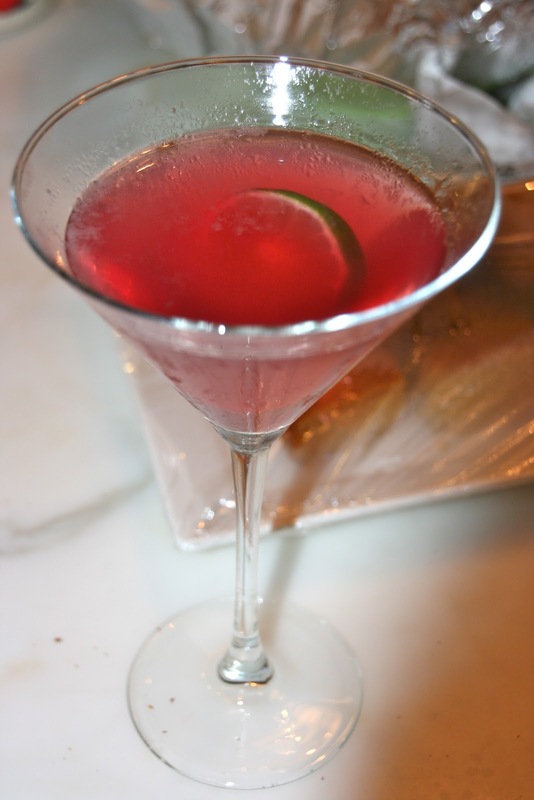 Delores, I'm featuring your post at this week's Foodie Friday--the recipes are fabulous! Not sure the other message went through! I loved this post and am featuring it at FFriday.